The PCOS Symptom Control Package is a 3 month programme to ensure that you are fully in control of your diet and how it affects your body. 3 x 1 hour 1-2-1 consultations – these can be done in clinic, phone call or through video call (we will set this up for you). 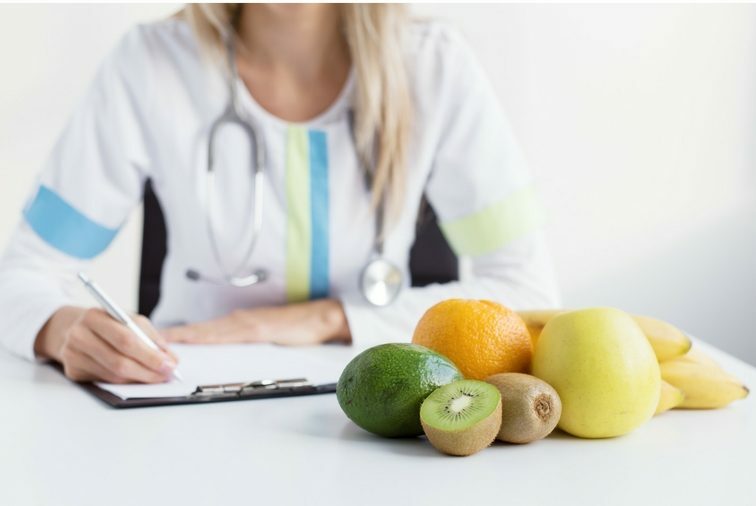 Gold standard written information to support you changes – this will be in the form of diet sheets (written by dietitians) and a personalised summary of what we have discussed at each consultation. Body fat measurements – in PCOS, body fat will worsen symptoms and so simply doing a weight is not enough. Body fat measurements will allow me to monitor your progression more accurately. A minimum of 2 GP/ consultant letters – Being part of your medical care, it is important that your doctor or consultant is aware of my input. Weekly email reviews between consultations – I ask my clients to send me a full food and symptom diary each week via email, which I then review and provide feedback. This gets results faster and also ensures that your remain accountable (a motivation boost knowing that you have to email your dietitian at the end of the week). Unlimited email support between consultations – so that you are fully supported between consultations, you will have access to me via email at any time to iron out and PCOS questions that you may have. The PCOS Symptom Control Package has a unique format which can be provided to you via Skype, phone call or face to face.